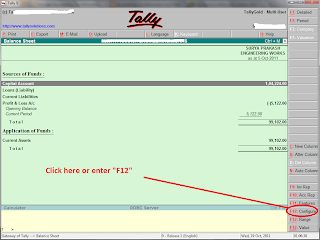 Home Tally How to view Vertical Balance Sheet in Tally ? 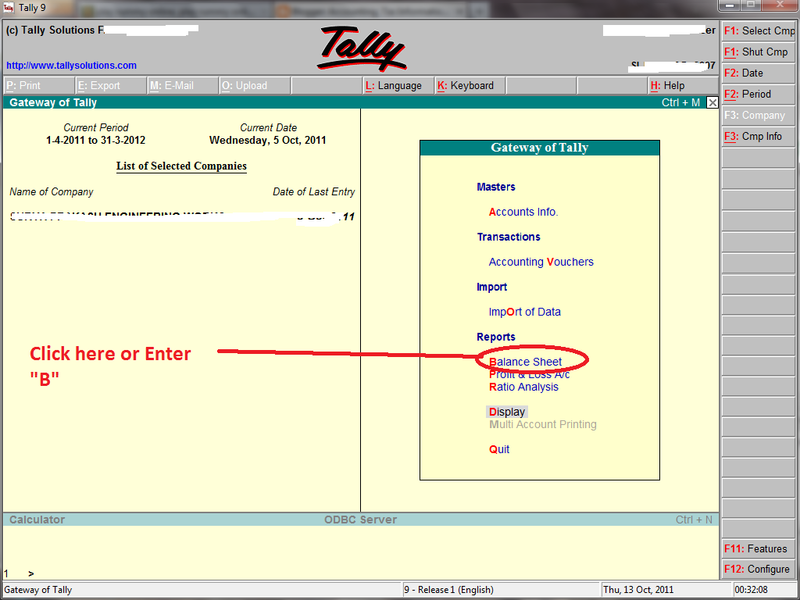 How to view Vertical Balance Sheet in Tally ? The balance sheet is a statement that summaries assets and liabilities of a business. The balance sheet provides information that helps in assessing a company's Long term financial strength, assets portfolio, Sustainable long -term performance etc. > Balance sheet under the "Reports" heading. 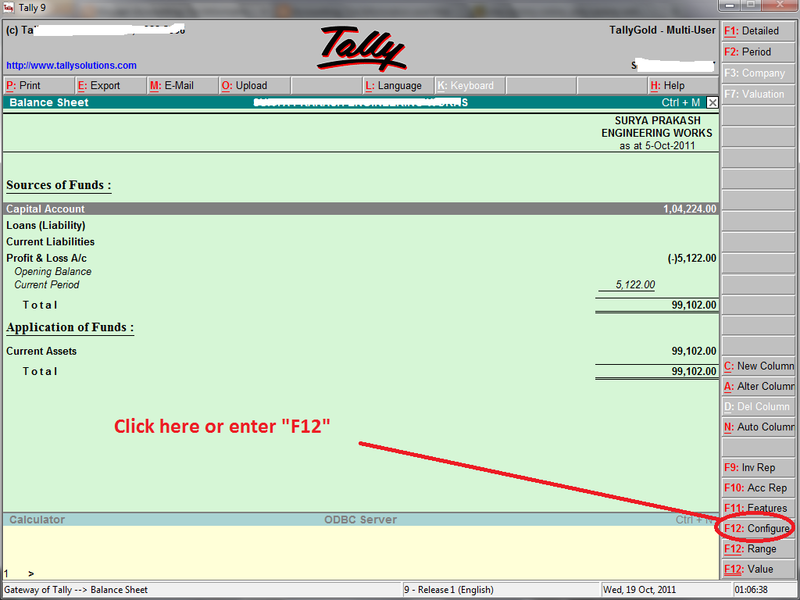 By default, Tally displays balance sheet with the primary group alone. it gives the report up to the last date of the transaction. If you see the balance sheet is details wise press "ALT+F1". If you see the balance sheet in Vertical format, Press "F12" or click on "configuration" button on the right side of the panel. Tally show the following window. Then Enter "Y" under the under the ' show vertical Balance Sheet' head. 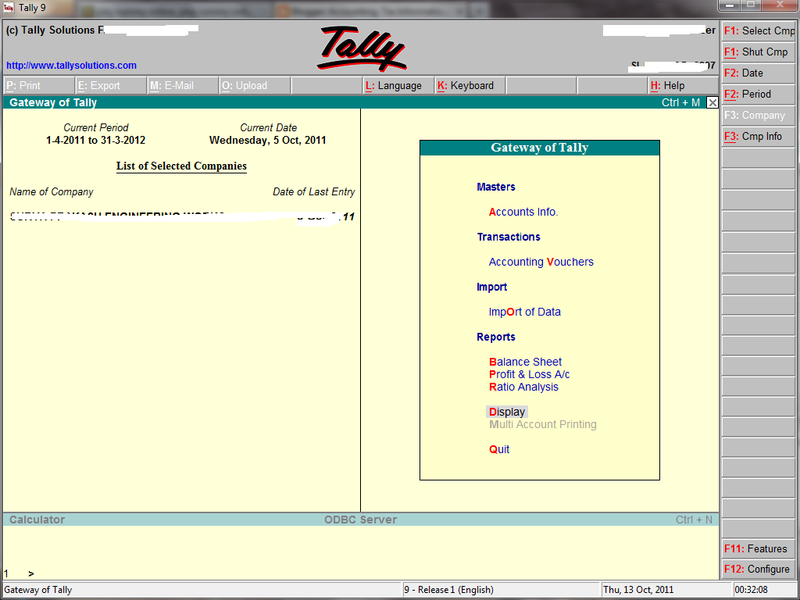 Now tally displays Vertical Balance sheet.